Empty. Vulnerable. Powerless. In a society where we are expected to control everything about our lives, embracing or welcoming any of these weaknesses is not only scary, it’s ludacris. We learn from an early age to control language so that we can control conversations. Through the media, we learn to manipulate people’s emotions so that we can control what they think and do. We can have whatever we want on a moment’s notice, whether it’s microwaved or fast food, shopping on Amazon, or the latest music and movies on iTunes and NetFlix. We are even bombarded with the idea that we should control our very fertility, how and when children are born, and how and when the aged and infirmed should die. Ironically, this constant quest for control always ends in that which it seeks to avoid: chaos. As a society, we are depressed, confused, physically unhealthy, and lonely. Suicide, depression, addiction, sexual disorder, and divorce are at an all-time high. The only answer, really, is to relinquish control back to God. In the beginning, God ordered the chaos, and crowned creation with mankind, commanding us to “be fertile and multiply.” (1) Today, there is a disdain for fertility and children. We are told that many children are “unwanted,” that children should only be conceived if they are “planned,” that we should limit our family size, and that the world is “overpopulated.” Birth control is widely accepted, even encouraged. People say that children should be aborted if they have birth defects, like Down Syndrome, or if their parents are poor, young, addicted to drugs, or simply don’t want another child. This profound moral chaos requires a profound response, one that begins with giving complete control of our lives back to God. We can allow the Holy Spirit to work through us for the good of the other only by emptying ourselves of self-concern. Our Blessed Mother exemplifies this complete trust in God. The angel Gabriel came to her when she was alone, young, poor, and even physically empty. Because she allowed herself to be utterly vulnerable, setting aside her own plans, the Holy Spirit was able to fill her and use her body to create another Person. Christ filled her emptiness, even her womb. Charity requires that we think only of God and the other, reserving nothing for ourselves. 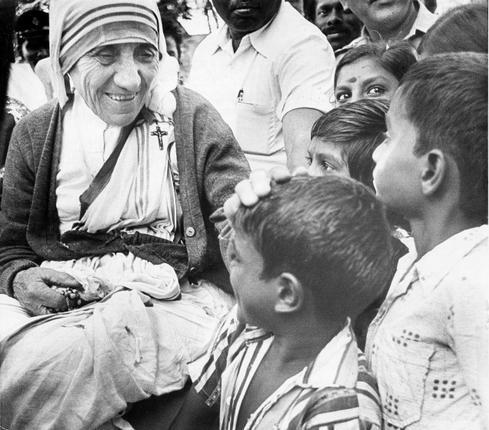 Blessed Teresa of Calcutta founded the Missionaries of Charity on this principle. In 1942, she made a private vow “Not to refuse Him anything.”(2) She welcomed Christ in every single person she encountered. She never told a poor person that there was not enough food, she never told a sick person that there was not enough room at the hospital, she never told children that here was not enough room at the orphanage. She relinquished control and welcomed Christ in every circumstance, like our Blessed Mother. So where do we begin? What are practical ways to begin emptying ourselves and giving God permission to use us? First, we can let Christ fill us, literally, in the sacrament of the Eucharist. Receive communion daily, if possible. We can empty ourselves of sin by frequenting the sacrament of confession. We should offer sacrifices often. We can begin by abstaining from meat on Fridays. If we already abstain on Fridays, we can do penance by fasting or abstaining on other days, as well. We can donate to or volunteer for charitable organizations that aid and advocate for vulnerable women and unborn children. Throughout this month, during which we remember our responsibility to welcome, protect, and defend human life, let us relinquish control, give God permission to fill every moment of our lives, and use those moments to take Him into our society, where people, especially the unborn, are abandoned and unloved. 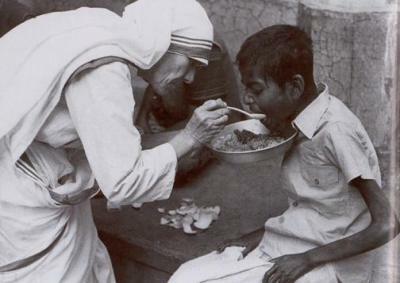 Teresa, Mother. Come be my Light: The Private Writings of the Saint of Calcutta. Doubleday, 2007. Print. Page 35. Kristina Garza is the Director of Campus Outreach for Survivors of the Abortion Holocaust. She grew up in Rancho Cucamonga, California and graduated from the University of California Riverside. She has been involved in the pro-life movement since 2008, when a member of the Survivors missionary team convinced her to take a pro-life pamphlet on her way to a university class. She has led hundreds of pro-life outreaches and numerous training events for youth and young adults throughout the nation, including multiple Survivors ProLife Training Camps and the International ProLife Youth Conference, and has spoken at national pro-life events like the March for Life Youth Rally. She enjoys opportunities to speak, present, and inspire at high school assemblies, Confirmation classes, youth and young adult groups, pro-life events, and rallies throughout the nation.